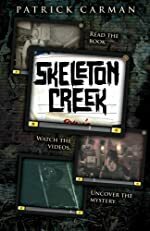 Skeleton Creek: A First Clues Mystery Series for Kids. 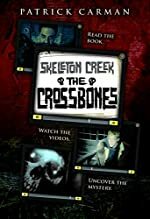 About the series: Strange things are happening in Skeleton Creek and Ryan and Sarah are trying to get to the heart of it. 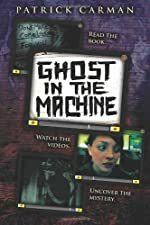 But after an eerie accident leaves Ryan housebound and forbidden to see Sarah, their investigation takes two tracks: Ryan records everything in his journal, while Sarah uses her videocam to search things out … and then emails the clips for Ryan to see. Each story is broken into two parts — Ryan's text in the book, and Sarah's videos on a special website, with links and passwords given throughout the book.